When I installed MySQL server a few months ago on my Windows 10 machine, I chose to have the database files on my main SSD drive. As it was slowly filling up, I decided to migrate the MySQL database files to another drive. I assumed all I needed to do is to update a path for datadir option in my.ini configuration file, but that didn't work. 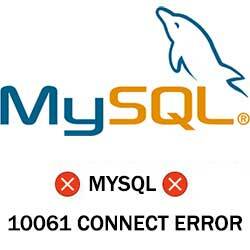 After the database location move, starting the MySQL server gave me 10061 error "Can't connect to MySQL server" error. Luckily, the fix was quite simple. 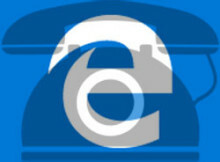 Microsoft Edge browser for Windows 10 has many features, but one of them may cause problems. This feature overrides the original style of telephone numbers with its own style. It also automatically adds clickable links, sometimes even to data not representing phone numbers. I encountered this issue recently and this article will show the solution to the problem. The other day I decided to install EasyPHP (a WAMP package that includes PHP, Apache, MySQL) on my machine running Windows 7. After install I ran the application, but to my surprise, Apache server was not working. It complained that Port 80 is used by another application. I thought this issue would be easily solved, but it took me a while to figure out what exactly is causing the problem. 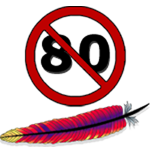 In this article I will show you what I tried and how I finally solved the Apache problem of not being able to run. Recently I had to solve a problem of a very slow transfer of files between two computers on a LAN network using Ethernet cable. Both machines had Windows 7 x64 installed and the transfer speed was ridiculously slow at 10-15kb/s. Using Task Manager under Networking tab, Network Utilization was showing only around 0.25% for Local Area Connection. I looked around the web for solutions and found quite a few suggestions how to tackle this problem. 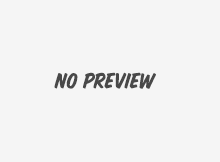 Those that I tried and the one that finally solved my problem are discussed here. I recently bought a new computer with windows 7 but I was unable to access my shared folders from WD-TV Live player as they were not showing on Network Shares.